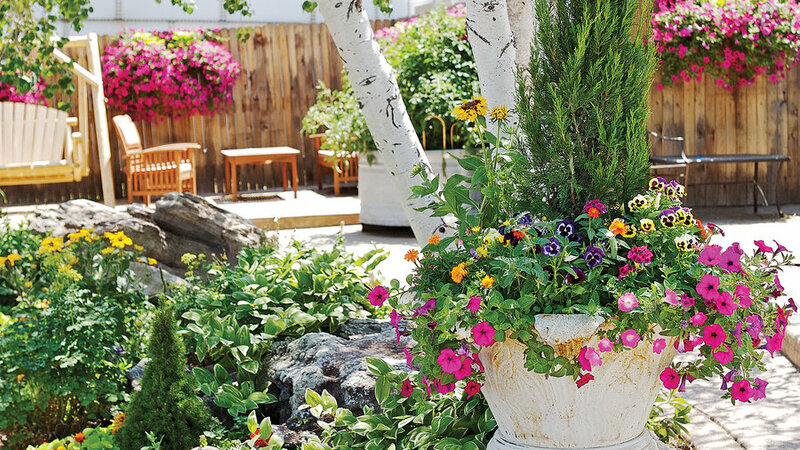 Aspen trees and urns of flowering annuals at the entrance of Tagawa Gardens,20 miles from Denver, are a preview of what you’ll find at this 10-acre nursery and 110,000-square-foot greenhouse.Take a class on herbal crafts, cooking with veggies, or landscape design. Classes (many free) Sat–Sun. 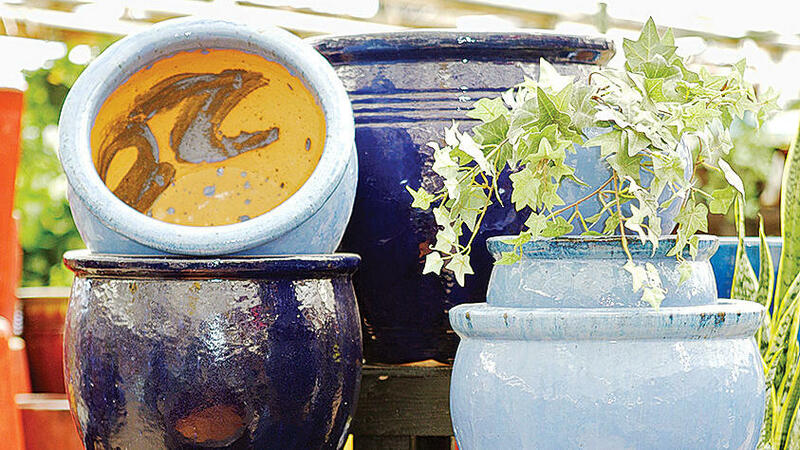 Browse Tagawa’s pots from all over the world, including Malaysia, Vietnam, and Italy. Styles and materials range from ceramic, plastic, and wood to bamboo and rice hulls. Fiber pots―made from recycled paper―are a sustainable steal. Fiber pots from $1.99; ceramic pots from $9.99. 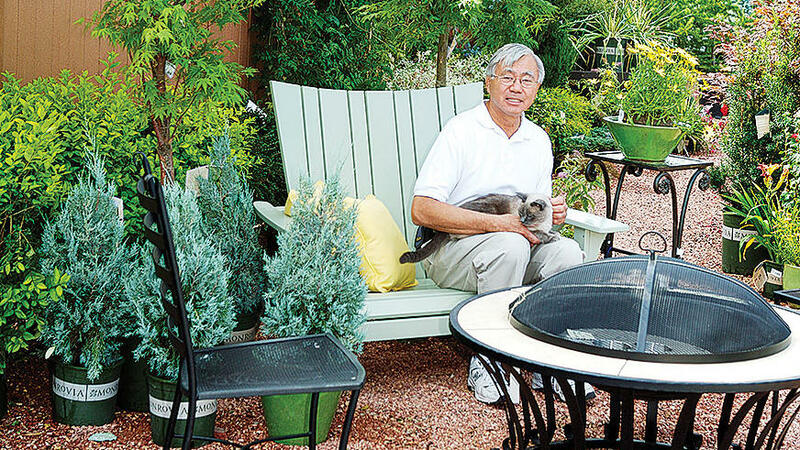 Nursery owner James Tagawa looks at home in one of the outdoor living vignettes in the tree and shrub department. Tagawa and Miss Grey Kitty― the nursery mascot―are regular members of the greeting committee. Don’t feel like doing the work? 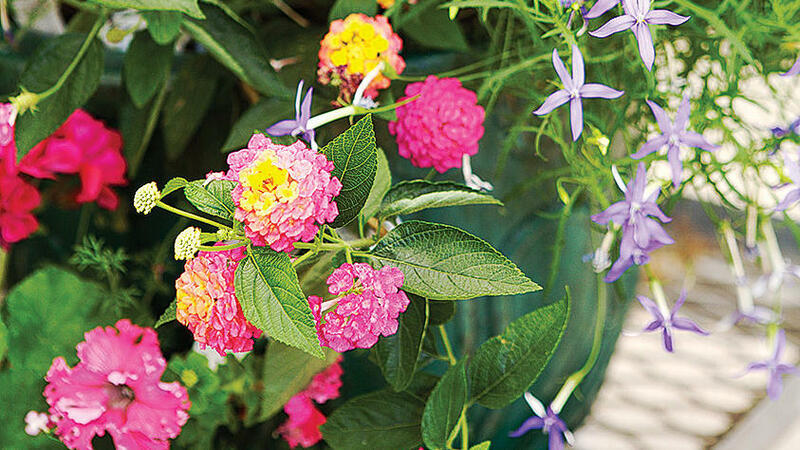 Tagawa’s garden artists will design, plant,and grow your container garden on-site and have it ready for pickup or delivery once the fear of frost has passed. Submit requests by May 1.